We are at my parents’ place. 宝贝is rummaging through the cupboards, entertaining herself while I’m doing my “walk the sleeping baby in the pouch” marathon. I must have completed at least a half marathon. That’s him with his legs sticking out of the pouch. 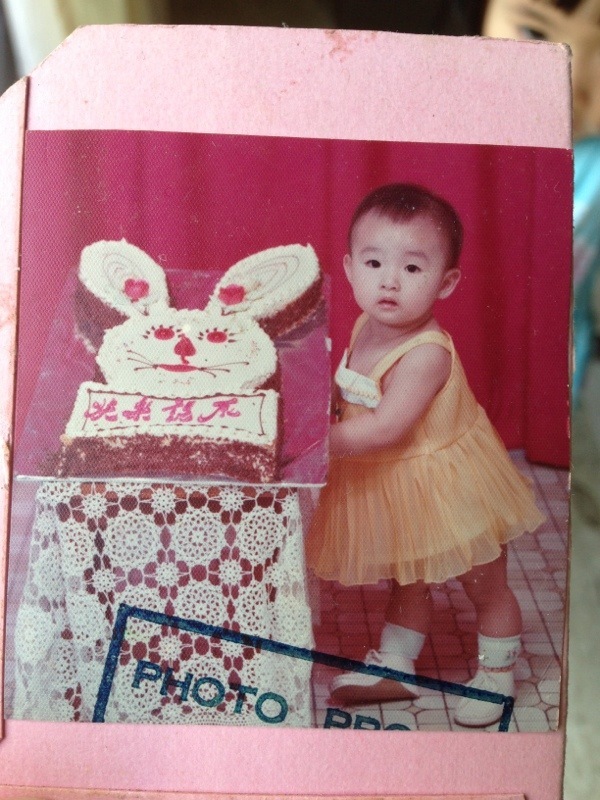 That was 1 year old me, posing beside my rabbit birthday cake.